Editor's Note: You are encouraged to listen to this while you read this entry. 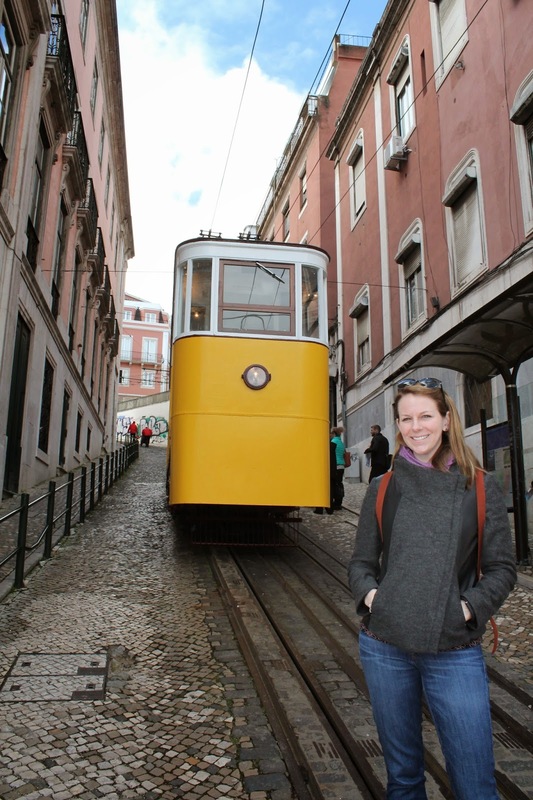 While we were eating dinner our first night in Porto, my sister asked me what my favorite thing about Lisbon had been. Without a beat, I said, "the color yellow." I saw yellow everywhere I looked in Lisbon and it seemed to me a pretty unique trait for a city. If you don't believe me that it was everywhere, just read on. Lisbon is a pretty steep city with sidewalks that could easily give you shin splits. To battle these streets, there are cable cars, buses, and funiculars everywhere. And yes, these were mostly yellow. 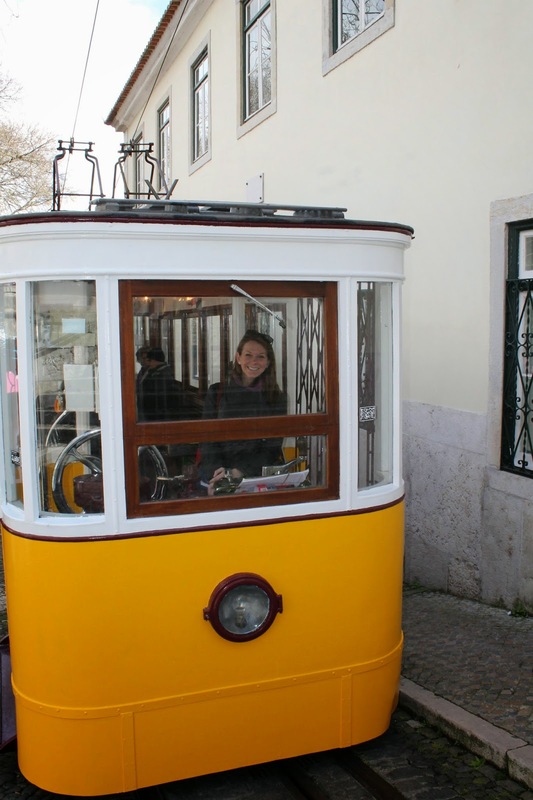 We rode on a particular funicular, Elevador de Glória, a Portuguese national monument, from the Baixa neighborhood up to the Bairro Alto. The trip costs 3 euros a person and is probably less than a two-minute ride, but it's a fun thing to do and we would not have wanted to trek up this street ourselves. Plus, the driver lets everyone on the funicular take pictures of themselves as if they are driving, and that alone is worth the cost. It seemed like every pastry in Lisbon was yellow, but the yellowist and yummiest of them all was Portugal's signature pastry, pastel de nata, also known as pastel de Belém. It is a custard tart, similar to the egg tarts I loved so much when I was in Hong Kong, but contains a much flakier crust. Katie and I devoured several natas a day while in Lisbon, and even continued in Madrid when we stumbled upon a Portuguese bakery. 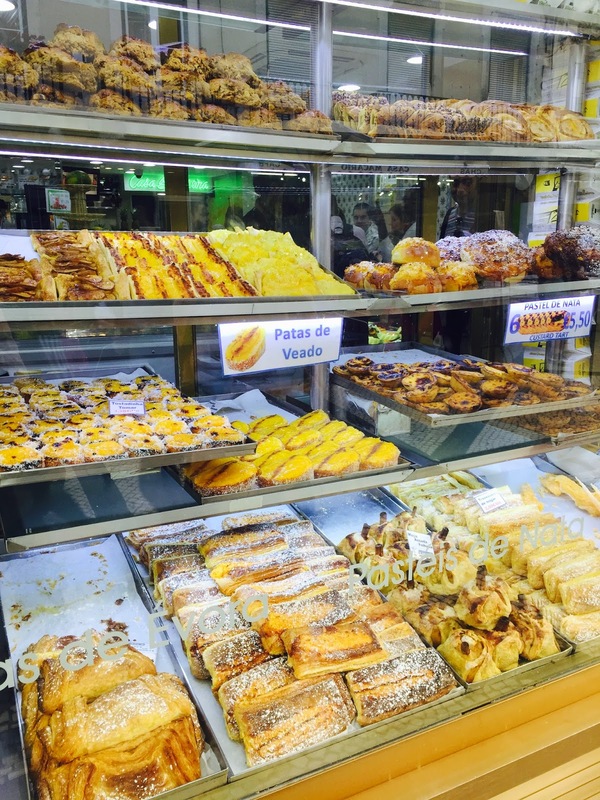 While traveling through the Lisbon neighborhood of Belém, we made sure to stop at the well-known, "original" spot for natas, Casa Pastéis de Belém, where they've been baking these treats since 1837. It's said that only three people know the exact recipe at Pastéis de Belém and I am sadly not one of them. Many of the buildings in Lisbon were brightly colored, but the most striking to me were those in this particular shade of bright yellow. It seems like the developers in Lisbon got a big discount on yellow paint at some point. 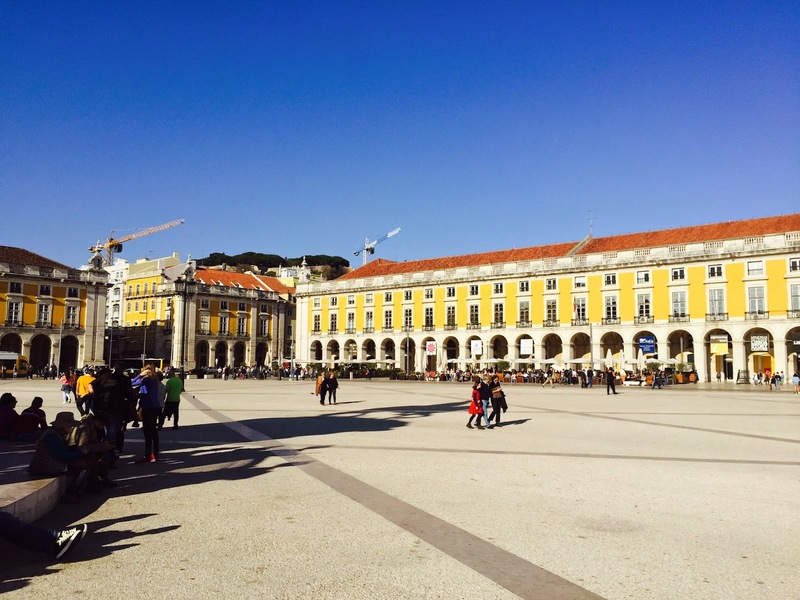 My favorite yellow buildings were those surrounding Praça do Comercio on three sides. Lisbon is covered in beautiful tiles, and many of the tiles we saw inside and out also featured the color of my obsession. And let us not forget about that sunset the first evening over the Tagus River. I may have arrived five hours late to Lisbon and at the time of this photo I didn't know where my luggage was, but you might as well have called me mellow yellow. Obrigada to my sister Katie for some of these pictures and for allowing me to take a picture of each and every pastel de nata before we were allowed to dig in! I haven't been to Lisbon yet, but it's absolutely on my list...especially after stalking, I mean following, your journey on Instagram.